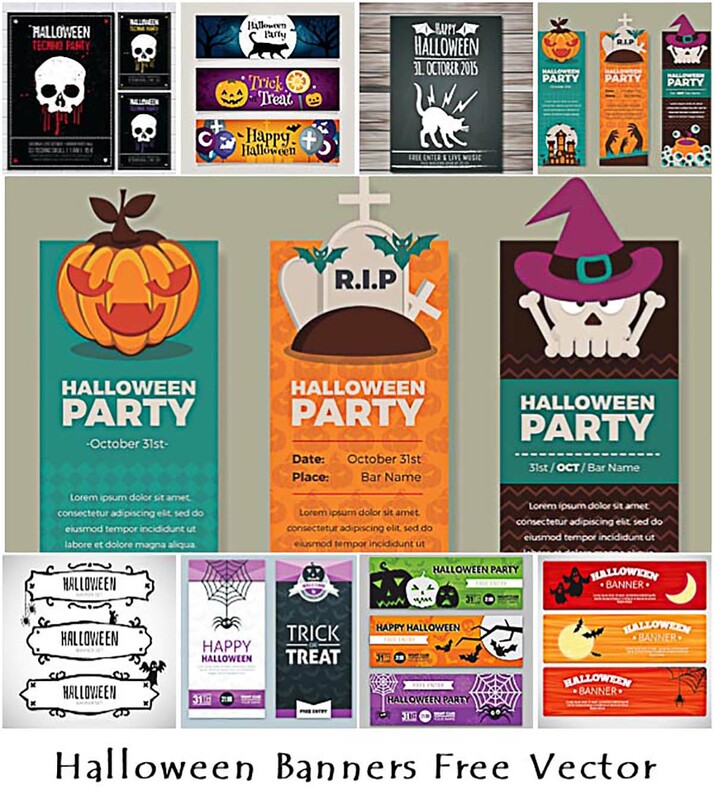 Compilation of vectors with Halloween banners and posters with decorative elements for celebration – witch hat, bats, pumpkin, skulls etc. for your festive designs. 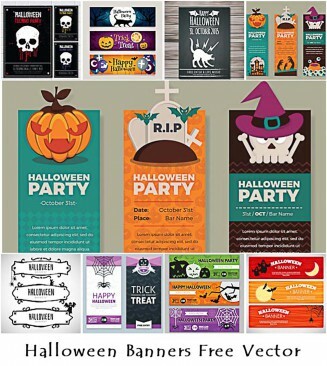 Tags: banner, cartoon, Halloween, party, scary, spider.